This weeks inspiration was the five senses, I chose Touch. 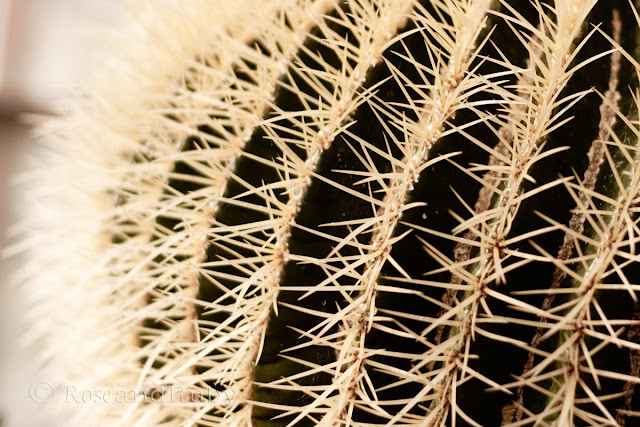 It seemed appropriate to me this week, as I have been feeling a bit prickly. I really loved this weeks topic, and as you can tell from the post title, I intend to try and capture each of the five senses. Here are some images I took last month, hopefully I will feel up to getting out and taking some more soon. Great pictures! so apropiatet for touch! Oh, ouch!! Perfect for touch! Lovely photographs - so much detail! OUCH! I feel them :) T.
Cacti really are the weirdest looking things, aren't they? Weird and vicious. Great photos. Beautiful photographs! Great Detail! Perfect for touch! I agree...I love the detail and all of the different angles you've captured. Beautiful! great photos... love the texture! Stopped by from "life through the lens". Such beautiful photos! Wonderful pictures! What a great subject to use for touch.